Whether on a historical steamboat, an innovative yacht or a modern catamaran: thanks to the diverse fleet of the Lake Lucerne navigation company (SGV), guests always glide over the water in style. And in the case of Swiss Travel Pass holders: even without a surcharge. Idyllic coves and dramatic fjord-like rocky slopes, deep blue, crystal clear water, and a backdrop of snow-covered mountain peaks – it is no coincidence that Lake Lucerne, situated in the historically rich Swiss heartland, is considered one of the most beautiful lakes in Switzerland. 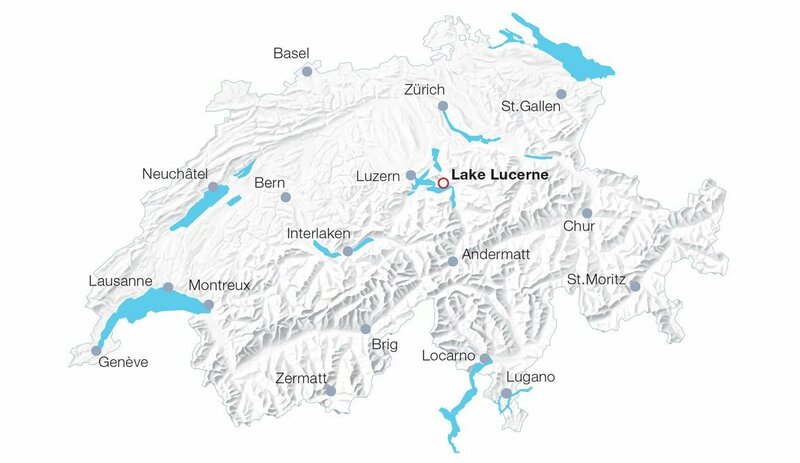 In order to help guests enjoy the lake up close, the Lake Lucerne navigation company (SGV) offers a wide range of boat cruises on a regular basis – year-round. From a nostalgic paddle steamer to a luxurious motor vessel with underwater view, lake water foot bath and glass-domed gallery: There is something for every taste. Most boats of the SGV fleet have a restaurant in 1st class on the upper deck. Furthermore, bookable theme and evening cruises with special culinary offers are available (surcharge).